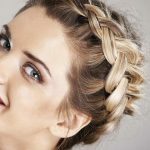 A Dutch braid, also known as the reverse braid or inside-out braid, is one of the most unique ways of styling the hair. Although the hairstyle looks very difficult to create, it is fairly simple. 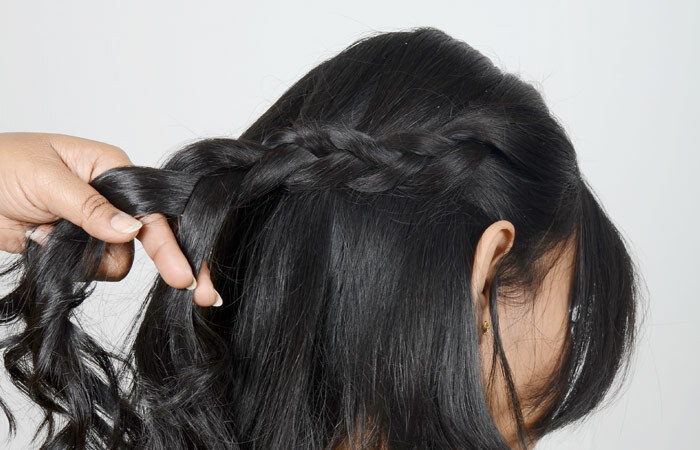 It uses the very same technique that you might have already mastered in the form of the French braid. The only difference here is that instead of crossing the sections of the braid over, you cross the strands underneath and then into the middle while doing the Dutch braid. 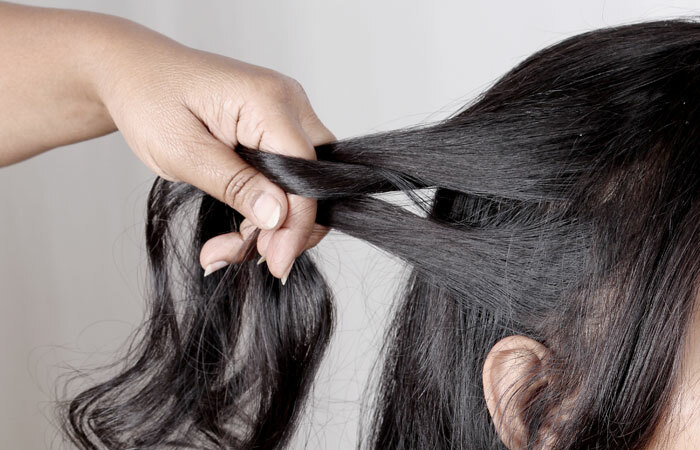 This is the reason that the braid is also referred to as the reverse braid. 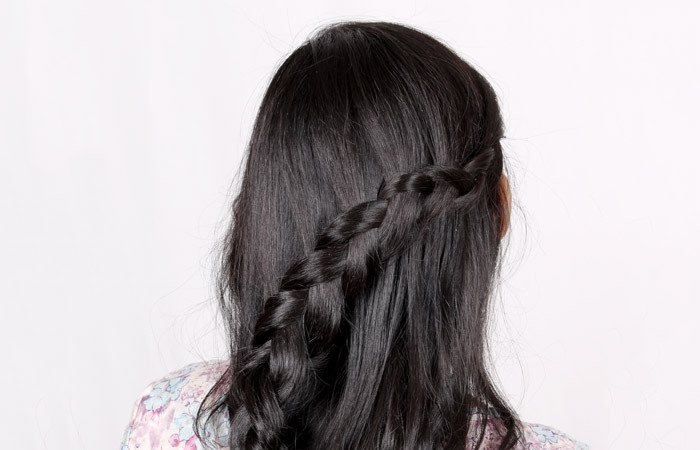 Here is an easy tutorial to style your hair into a simple Dutch braid. Start with dry or damp hair. You can try this hairstyle on both straight and curly hair. Comb your hair gently and pull it back. Apply some hair mousse on the mid-lengths of your hair (and not on the roots). This product will give extra volume to your hair and a shiny “just-washed” appearance. It is usually lighter on the hair, unlike gels that weigh your hair down and give it a crunchy look. If you have thin or fine hair, then mousse is probably a must-have product for you as it gives an instant volume to the hair. Now, make a side partition. Divide your hair at the top of your head into three sections. Start making the braid, but instead of crossing the strands over the middle piece, you will have to cross them UNDER the middle section. Once you have crossed the sections twice under the middle section, take another section from the side and add it to one of your strands and again cross this section of hair under the middle section. Keep repeating the above step and go diagonally towards the other end. Continue braiding till you reach the end. Secure your braid with a black elastic band and put hair over the top of the band to hide it. Finish your hairstyle by applying a hair spray and you’re all set! A Dutch braid looks best on long to medium length hair that is wavy. 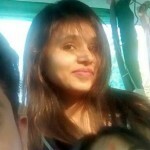 Do not worry if you have thin and straight hair. You can always curl your hair at home. You can either use a curling iron to curl your hair, or you can curl it naturally. One of the easiest ways of getting curls naturally is the sock bun method. All you have to do is slightly dampen your hair and separate them in sections. Remember, the smaller the sections, the tighter the curls would be. Now, place the sock at the tip of your hair and start rolling it. Roll it till you reach the point from where you want the curls to begin and tie it at the end. Keep it overnight and the next morning when you un-roll the sock, you’ll find that your hair has turned out into some lovely curls. You can accessorize your braid by sticking some pearls or shiny beads on it to give it a more feminine look. You can also wear a hair band or put natural flowers on it to make your hairstyle look more stylish and girly. To give your hairstyle a variation, you can make a Dutch braid as a head band. 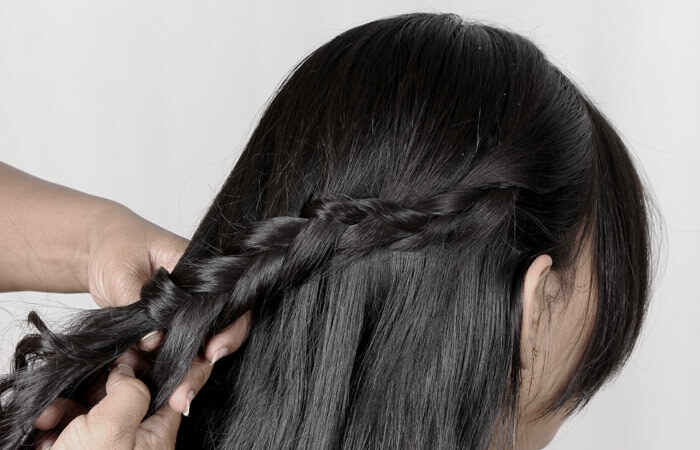 You can also make the braid by including all your hair in the braid. So, this was an easy tutorial on how to make the Dutch braid at home. Hope you liked the article. Do share your views in the comments box below.